This year’s Galway City St Patrick’s Day Parade is set to showcase Galway and the West of Ireland’s rich gastronomic culture and history in celebration of the regions designation as European Region of Gastronomy 2018. Galway and the West of Ireland, has been designated one of two European Regions of Gastronomy for the year of 2018, the first region in Ireland to attain the very prestigious title which is cause for celebration. The designation celebrates our rich landscape, our food heritage, our people, and our multi-cultural communities. The overarching theme for the year is ‘From the ground up – Feeding our future’ which encompasses everything from farm to fork. 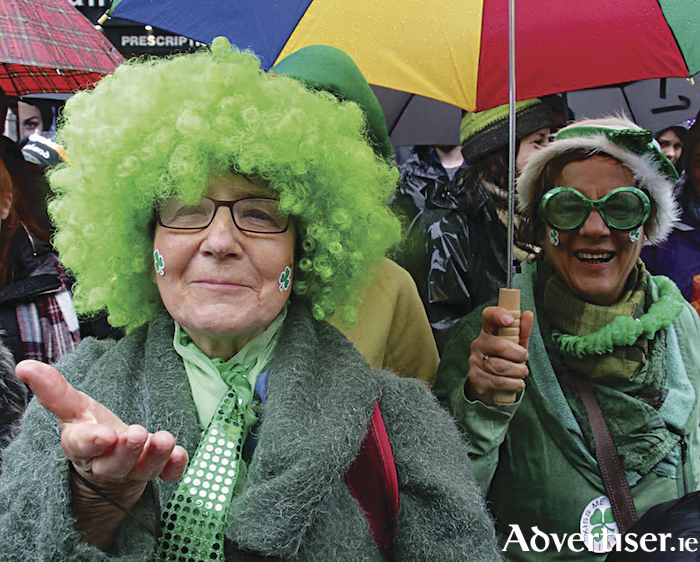 Galway City Council and the St Patrick’s Day Parade team are inviting local community organisations, artists, musicians, performers and schools to celebrate all aspects of our passion for gastronomy in this year’s parade. Groups are asked to explore the theme of Gastronomy to reflect their own vision for a food culture which embraces an inclusive society and reflects Galway’s traditional food heritage and intercultural diversity. The parade team are looking forward to supporting local groups to celebrate Galway’s rich gastronomical tapestry and helping them explore the diverse areas surrounding the theme of Gastronomy. The parade will start at 11.30am on Saturday March 17 on Father Griffin Rd and process across O’Brien’s Bridge, through Shop St and end on Prospect Hill. Galway St. Patrick’s Day Parade and Festival is produced and funded by Galway City Council. Applications are now open for all groups to apply and all entries must be submitted by March 5. For more information and parade updates go to https://www.facebook.com/paddysdaygalway/ or email [email protected] for an application.